The Planets is a collection of decks representing the planets in our solar system, starting closest to the sun and moving outwards into the surrounding universe. 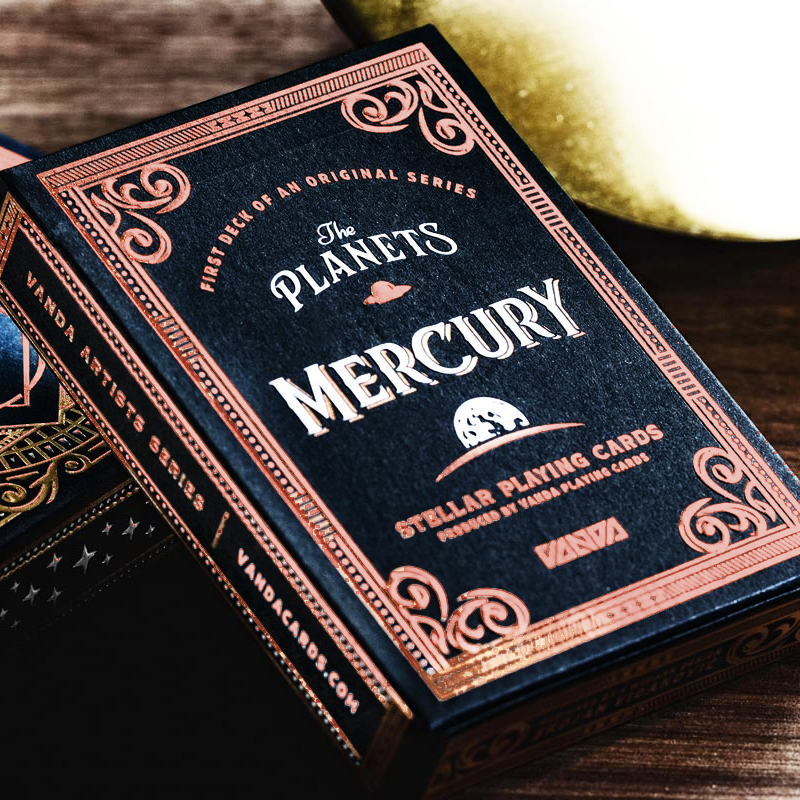 The first deck of this series is Mercury, featuring creatures with stone-like heat-resistant skin. Designed by Srdjan Vidakovic. Quantity: 5000 Deck: USPC Tuckbox: Clove Street Press Stock: Bicycle Finish: Embossed • The cards are poker size.